The chemical which are mainly used in oil drilling process is known as oil drilling chemicals. The process of manufacturing the oil drilling chemicals involve sophisticated technology as to ensure high level performance. 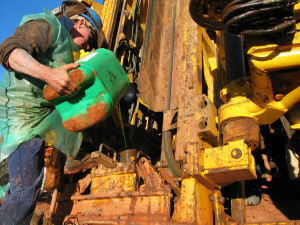 Drilling fluid is used to aid the drilling of boreholes into the earth. The main function of drilling fluid includes providing hydrostatic pressure to prevent formation fluids and to limit corrosion.